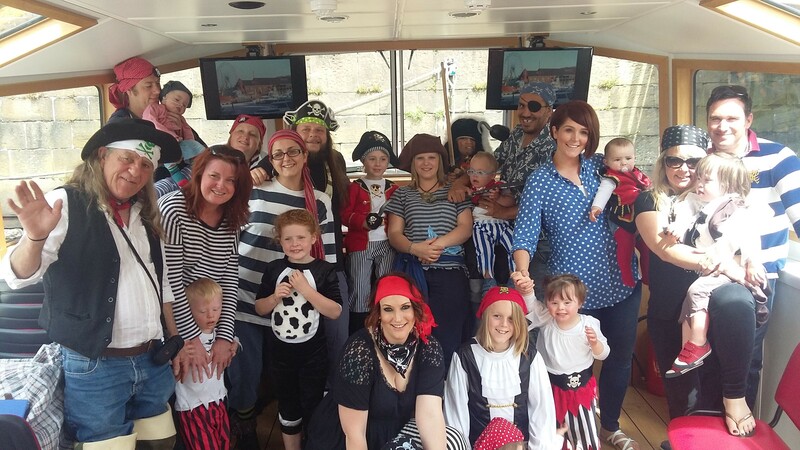 On June 14th Hands up for Downs, a support group for families with young children with Downs took over Copper Jack for a cruise along The River Tawe. Brothers, Sisters Mums Dads and Granddad Bob all dressed up as Pirates, enjoyed the trip in perfect weather. Not a single shot was fired or cutlass drawn in anger. The sound of happy families was just music to the lucky crew. Hands up for Downs, draws its participating families from the area from Port Talbot to Llanelli and meet on a monthly basis. This entry was posted in Events on 14 June, 2015 by MAW.